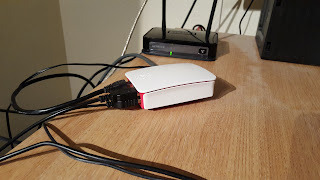 A couple of years ago, I dont remember exactly when, I bought a Raspberry Pi. This is a very small computer the size of a cigarette pack. It was supplied basically as a circuit board where you plug in a power supply, keyboard, mouse and monitor. It has an HDMI output for a TV. The main thing about this is you switch on the power and it boots from an SD Card. The problem with this for me was the messy nature of my desk. If the exposed circuit board touches metal and short circuits then you have a problem. That's what I did and a smell of burning hit my nose. That was it. Well the PI developed and as a little Christmas treat I bought a replacement. This time with a case to stop me breaking it so easily. With the new smart case with a raspberry logo, more memory, a microsd and more USB ports it is a bit better than the original but still tiny. It's basically about as powerful as a small smartphone and is targetted at the hobbiests and also the kids who want to code. Yes code! For the past 25 years or so IT has become business studies. No longer is the practice of IT taught. It morphed into ICT and then the exams were all about developing your own business on Excel and writing a stock control database on Access. IT was mostly business studies. The Pi looks back to an earlier age of the BBC Micro and software being written from scratch. The Pi runs on Linux not Windows. There is a Windows 10 IOT implementation but I actually like Linux. I hope I will have some time to look at some coding on my Pi but I also want to power it via solar chargers and use it as an ssh terminal into other Unix based systems. In other words a bit of fun. The link to the BBC Micro is stronger than just invoking a spirit of 30 years ago. The processor in the Pi, and most modern smartphones, is the ARM processor. ARM (Acorn Risc Machine) is a 'system on a chip' (SOC) design that goes right back to the BBC Micro and Acorn Computers - the developer of ARM. The BBC Micro was based on the 6502 motorola processor. The BBC Micro was a branding to accompany a set of BBC television programmes to educate the public about microcomputers. The computer was sold widely into education. Acorn did not build a PC clone but instead wanted to work with RISC processors. RISC stood for Reduced Instruction Set Computer. In contrast the Intel range of processors used "complex" instructions and were the workhorses of the PC industry. ARM used fewer shorter instructions to the processor to require less power and work faster. Complex instruction systems needed more power but could run faster clock speeds. The Acorn Archimedes was the successor to the BBC Micro at the end of the 1980s. It was the most powerful personal computer you could buy. However in a world that had standardised on the IBM PC, MSDOS and later Windows the RISC OS was out on it's own. 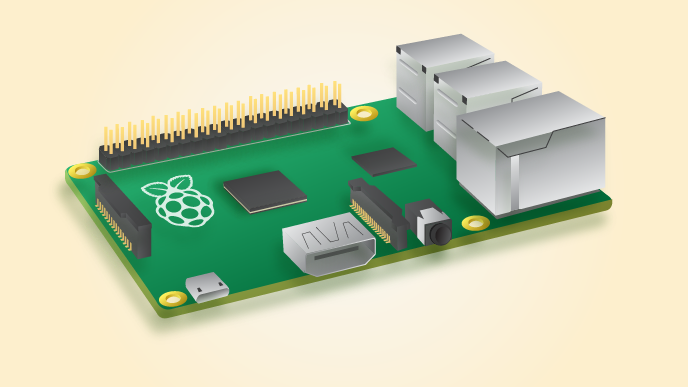 The Raspberry Pi, designed in Cambridge uses an ARM chip and is designed, like the original Acorn BBC Micro, to teach kids to code. The combination of the BBC's commitment to educating the nation about microcomputing has led to computing devices worldwide running on ARM processors.